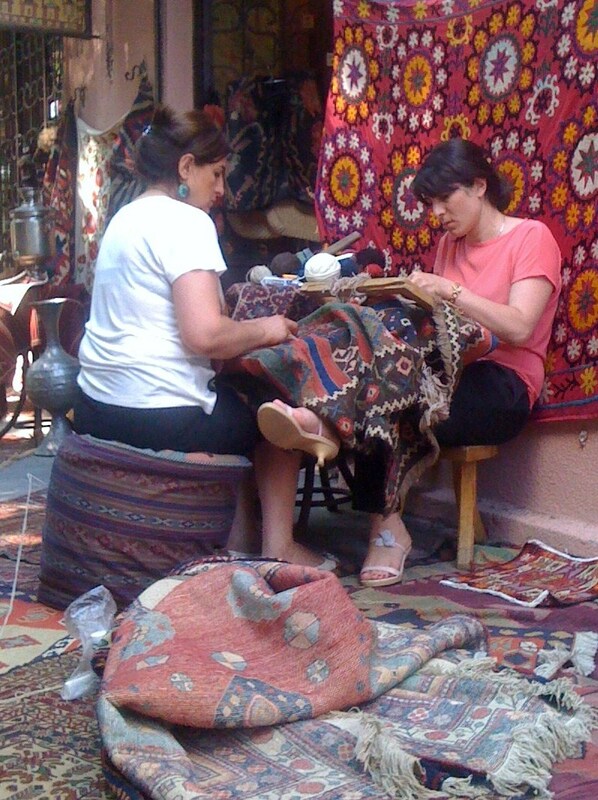 The history of carpet weaving in the Caucasus region dates back to the Middle Ages. Pieces of knotted pile carpet from the 13th and 14th centuries have been found in cave complexes in Georgia. 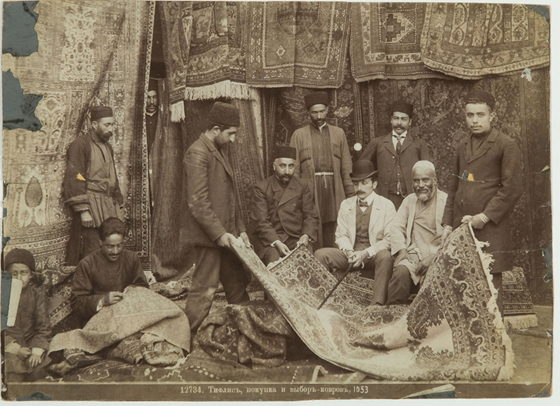 Over the centuries, traders from Istanbul to Athens traveled to Tbilisi, Georgia, to trade in hand woven carpets at bazaars known as the Caravanserai. 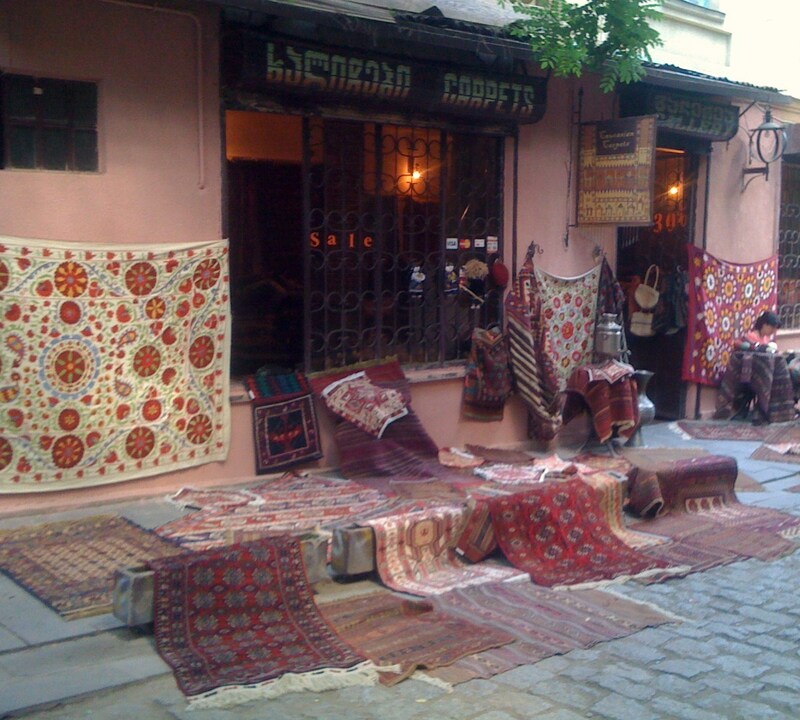 The bazaar was closed during Soviet times but carpets are still made and sold in Tbilisi and other towns in Georgia. 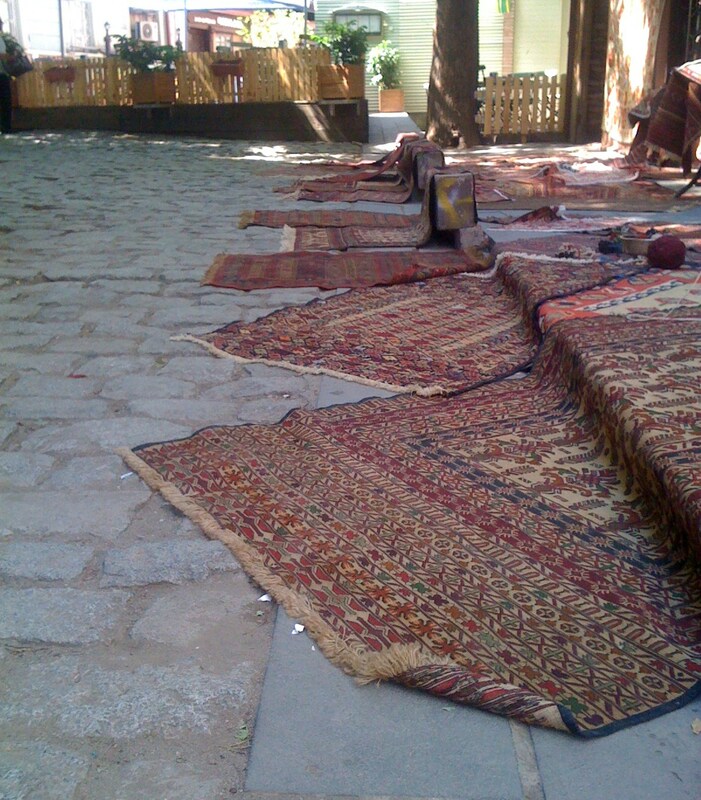 Traditionally, carpets were an indispensable part of a dowry for Caucasian girls. According to local custom, a girl could not marry if she was unable to knit carpets or did not have rugs in her dowry. 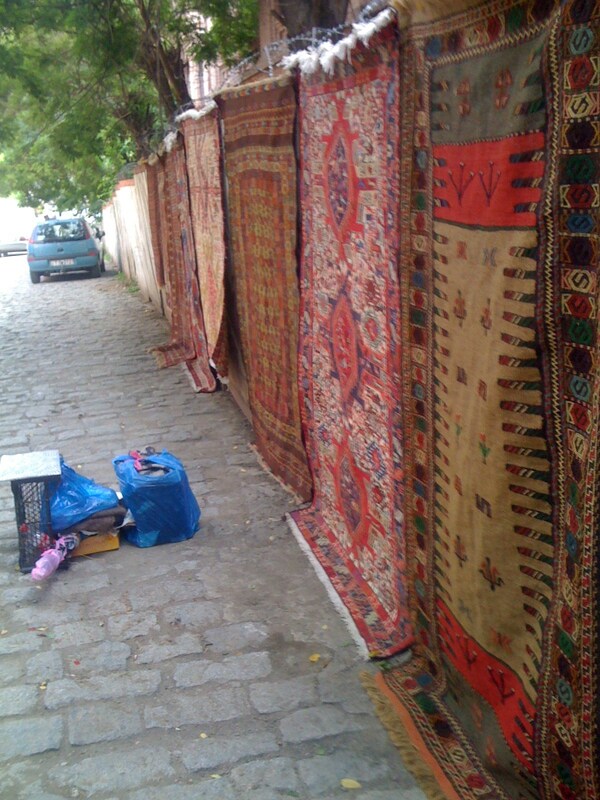 Today, some of the best carpets for sale come from Georgian families who still had the rugs and carpets their grandmothers and great grandmothers made in preparation for marriage. The carpets from the Caucasus region are readily distinguished by their geometrical designs and bold colors. Rugs from Georgia are either woven in traditional Georgian patterns or made from compressed felt in abstract patterns. The colors used most often are deep red, brown, blue, and yellow. The colors of older Caucasian rugs are mostly made from natural materials found in the region where they were made. Older Caucasian carpets are “all wool” – not only the knotted pile, but also the warp and weft threads are usually made from hand spun woolen yarn. A modern, medium-sized handmade rug, in wool, is likely to cost over $1000 USD and takes several months to make. A real antique rug – depending on its age, design and quality – can fetch thousands of dollars. 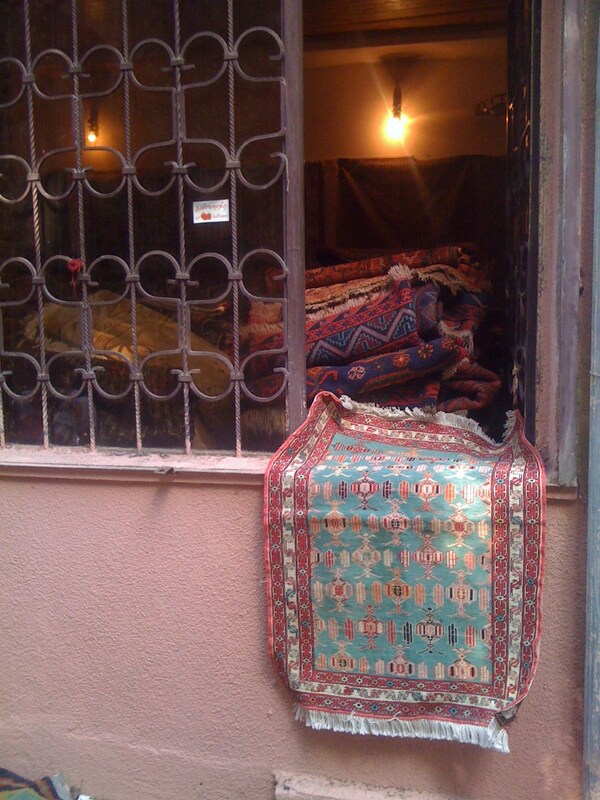 The following photographs are of a carpet shop in Old Town, Tbilisi. They are very beautiful Carol – I especially like the antique ones that have a history. I love traditional crafts and the skill involved. They are beautiful colors Shary – I think these carpets would look good in any setting, modern or traditional. What gorgeous carpets they are!!! I understand they cost a lot because it looks so tough to make them all by hands. And the patterns! They are so colorful and interesting! We have some carpets shop selling only stuff from foreign countries like Persia, so we might find the ones from Georgia! P.S if they get muddy, how would we clean them? They are washable? Woof? The rugs can be cleaned with cool water and mild liquid soap or rug shampoo Kevin but strong detergents, ammonia water or sudsy ammonia water should not be used. Before cleaning, a test for color run should be undertaken on a small area. I think these carpets would look great anywhere Chuck. The northernmost part of my country – India has a similar tradition of weaving carpets. These carpets are also coveted. The primary occupation of a lot of people in the region used to be sheep rearing and carpet making. It is a slowly dying art in our country too though. I find a lot of parallels between Georgia and India in spite of the fact that both countries haven’t really been close. I think it is a misconception that the world has become closely interconnected only recently. Sadly, many of those new ones are made in Pakistan, Afghanistan and Iran. The older Caucasian ones are delightful however. Yes, it is sad. It is becoming increasingly difficult to maintain traditional crafts. hi, I travel to Tbilisi soon, I need wool colored for felting, where is wool store in tbilisi?